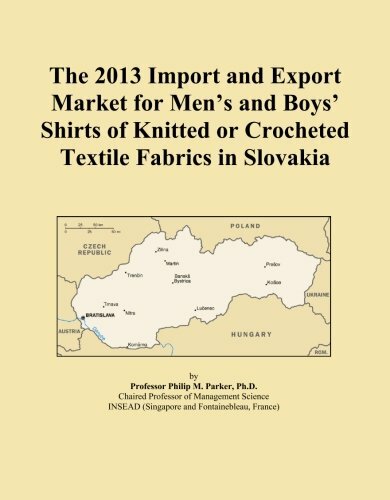 This report was created for strategic planners, international marketing executives and import/export managers who are concerned with the market for men's and boys' shirts of knitted or crocheted textile fabrics in Slovakia. With the globalization of this market, managers can no longer be contented with a local view. Nor can managers be contented with out-of-date statistics which appear several years after the fact. I have developed a methodology, based on macroeconomic and trade models, to estimate the market for men's and boys' shirts of knitted or crocheted textile fabrics for those countries serving Slovakia via exports, or supplying from Slovakia via imports. It does so for the current year based on a variety of key historical indicators and econometric models.